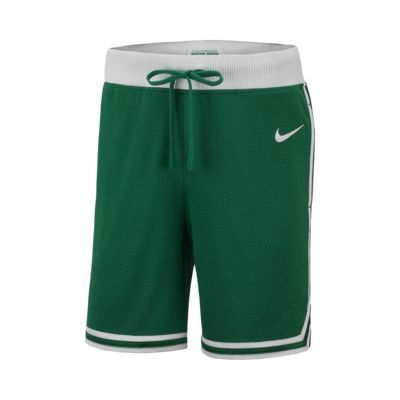 Stand for your team in the luxe Boston Celtics Nike Men's NBA Shorts. Inspired by '90s basketball style and the team's Icon Edition uniform, these shorts feature premium materials and construction, giving them a hand-crafted look and feel and all the comfort you can handle. PREMIUM COMFORT, INSPIRED BY THE ICON EDITION UNIFORM. Stand for your team in the luxe Boston Celtics Nike Men&apos;s NBA Shorts. Inspired by &apos;90s basketball style and the team&apos;s Icon Edition uniform, these shorts feature premium materials and construction, giving them a hand-crafted look and feel and all the comfort you can handle. Heavyweight, double-layer mesh fabric has a soft, robust feel that surrounds you in comfort. Thick, high-loft waistband provides plush, ultrasoft comfort. Zippered pockets with high-quality hardware give you secure storage options. Have your say. Be the first to review the Boston Celtics Nike.